So Many Stamps So Little Time: Playing With MFT Stamps! Hello friends. This card isn't for a challenge, just a card I made because I wanted to use this adorable stamp set! 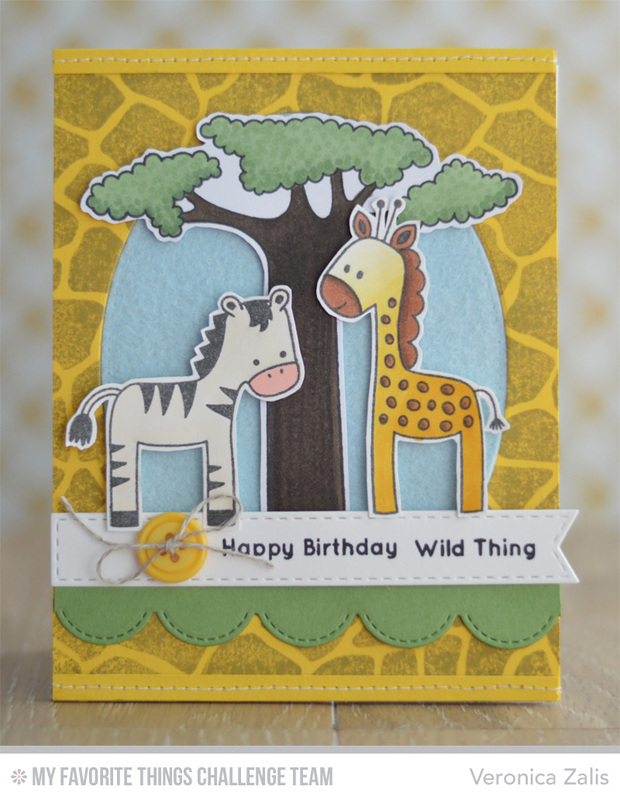 To create my card I used "MSTN Wild Things". And the fun Giraffe Background. I used Stitched Fishtail Flags Stax and Stitched Scallop Edges. I used Kraft Dye ink to stamp the background. I used Lemon Drop, Limeade, and Sweet Tooth card stock. I'm happy you stopped by and I hope you have a wonderful weekend! Love the giraffe print background stamping, this is such a cute scene!